The Belvedere Castle is one of the most iconic architectural structures located within Central Park. Named for the Italian phrase meaning “beautiful view”, the castle was designed by Calvert Vaux and Jacob Wrey Mould in 1865 and is composed of granite and schist masonry. The structure has recently functioned as a visitor’s center for the park, data collection station for the National Weather Service, and the Henry Luce Nature Observatory. Integrated Conservation Resources, Inc. was retained to develop conservation materials and methods and to provide construction administration services. 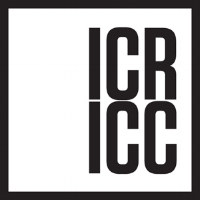 ICR’s work began in 2017 with in-situ cleaning testing and laboratory analysis. Field tests were conducted by ICR in conjunction with ICR’s partner masonry contracting firm, Integrated Conservation Contracting, Inc (ICC) to remove various soiling conditions through chemical and microabrasive techniques. Tests were conducted at both the interior and exterior masonry and addressed conditions such as heavy soiling and thick, dimensional salt encrustations. In addition, ICR removed samples of the extant original pointing mortar for analysis and replication in ICR’s laboratory, as well as for petrographic analysis by others. Thorough conditions assessments of both the interior and exterior masonry were performed by ICR. ICR ultimately utilized the information gleaned from this investigative phase of work to develop construction documents for the restoration work. Upon commencement of the construction process, ICR has continued their work at Belvedere Castle by providing guidance to the client through continuing construction administration services including assisting the client during the bidding process, providing oversight, and carrying out quality control services on the masonry restoration work.